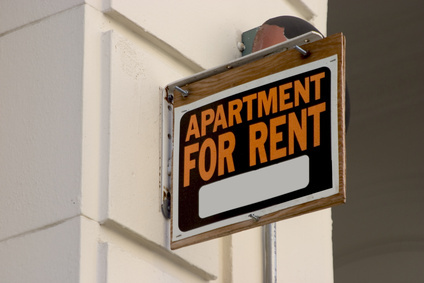 The Main Reason Renters Don’t Buy Tenants’ Insurance (and why it makes me cringe). Home > Blog > The Main Reason Renters Don’t Buy Tenants’ Insurance (and why it makes me cringe). There have been countless times over the years that I’ve discussed tenants’ insurance with a client who is renting an apartment or home. I’m always amazed when coverage is declined because I’m told, “My stuff’s not worth that much”. That means I really didn’t do a very good job of explaining this important product for anyone who is a renter. This article is my attempt to set things right. What does a tenants’ policy (or renters’ policy) do for you? It can (and should) protect you from 3 exposures in the event you have a covered loss at the rented place you call “home”. Let’s discuss the big one first: It insures your belongings from a covered loss. This is where most people immediately lose interest, because, again, they think their, “…stuff’s not worth that much”. Maybe so, but the cost to replace that “stuff” can get pretty expensive. I can still vaguely remember all those years ago when I was single and living in a garden apartment (just a fancy way of saying the unit was half underground) in Akron, Ohio. I don’t think I owned one piece of furniture that was purchased new. Everything was handed down to me or bought used. So how much was my “stuff” worth? Not much…not much at all; somewhere between the price of dinner at a restaurant with real napkins and a 2 year old Yugo (with low miles). Yes, but how much would it have cost me to “replace” all that “stuff” if I had to buy it new? Think about it. Two couches, end tables, TV, bed, night stand, dressers…you get the picture. Have you gone furniture shopping lately? These things add up! I haven’t even mentioned all the “stuff” in your closets and cabinets. All of a sudden, $20,000 doesn’t seem like such a big number. When you buy a tenants’ policy that includes “replacement cost coverage” you won’t ever have to worry about trolling neighborhood garage sales for the next month. Your belongings are replaced with brand new items of like kind. Good. That one’s out of the way. I feel much better now. The second coverage this type of policy gives you is “loss of use”. Many people seem to be under the false impression that the landlord is responsible for finding you a place to live if the apartment or home you’re renting is damaged and unlivable. Not true. You are on your own! Not everyone has family or friends they can stay with (or for that matter, want to). A renters’ policy provides money for you to live elsewhere while your unit is being repaired from damage due to a covered loss. In most cases, your insurance adjuster will assist in locating a furnished unit for you to stay in while repairs are being made to your home. Finally, a tenants’ policy provides “liability coverage” that can include “personal offense”. This policy can protect you against lawsuits from covered losses due to your negligence. Defense costs are typically included as well. How much would it cost to hire a lawyer to defend you against a loss involving a dog bite claim? So, how much does all this cost? Around $200/year; sometimes more, sometimes less. The good news is it can actually reduce your auto insurance premiums by up to 20% if you buy it from the same company. I’ve seen cases where the reduction in the auto premium virtually pays for the renters’ policy. Bottom line: you owe it to yourself to contact an agency (like ours!) if you’re paying rent. Get the piece of mind you deserve.